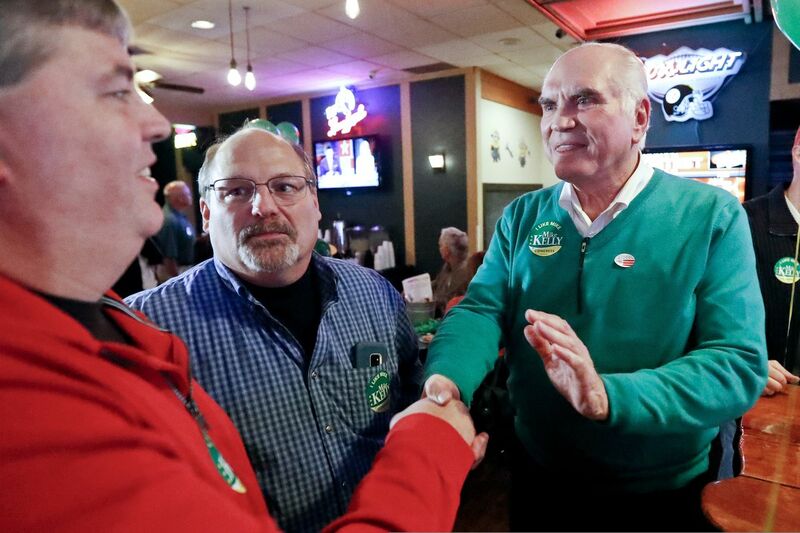 U.S. Rep. Mike Kelly (right) greets supporters at his election returns party last year, in Butler, Pa. He was one of the chief co-sponsors of the SECURE Act. It’s tax season, the busiest time of year for CPAs, the IRS, and ... tattoo artists? Cory Booker wants ‘baby bonds’ for every newborn. How would that work? The SECURE Act starts by raising the age for required minimum distributions, known as RMDs, from investment accounts to 72 years of age from 70½ years. This recognizes that Americans are living longer and shouldn’t be forced to take money out of the markets just because of their age. The SECURE Act also allows employees to invest up to $19,000 if under age 50 and up to $25,000 if 50 or overinto their 401(k) plan. Those contributions and any employer match grow tax free. For those who want to read the bills in full or call the sponsors, the SECURE Act incorporates measures from the previous Senate bill, dubbed the Retirement Enhancement and Savings Act, or RESA. The SECURE Act was introduced by House Ways and Means Committee Chairman Richard Neal (D., Mass. ), along with Rep. Ron Kind (D., Wis.), Ways and Means Committee ranking member Kevin Brady (R., Texas), and our own Rep. Mike Kelly (R., Pa.). Here are links to the House bill: https://waysandmeans.house.gov/sites/democrats.waysandmeans.house.gov/files/documents/NEAL_008_xml_0.pdf and the Senate version: https://www.finance.senate.gov/imo/media/doc/RESA%20Summary%204.1.19-banner-converted.pdf. Local investment giant Vanguard has issued a new report on how it engages with public companies on governance and social issues, in a write-up published on the firm’s website: https://about.vanguard.com/investment-stewardship/perspectives-and-commentary/2019-semiannual-engagement-update.pdf. It’s an important step for Vanguard, as it appears to name publicly for the first time 356 companies with which the mutual fund giant has engaged on issues such as board composition, executive compensation, and governance issues for the six months ended Dec. 31, 2018. The $5 trillion-plus firm has come under more scrutiny for its shareholder activism efforts, and the Wall Street Journal last week reported that Vanguard will vote against board members who work a full-time job and serve on more than two corporate boards at a time. BetterInvesting.org, a nonprofit investor education group, is hosting a free event at the Moorestown Public Library on Thursday, April 18. The library is at 111 W. Second St.
Their event is being held in conjunction with FINRA’s Money Smart Week program, and features testimony by two members about how they left behind Wall Street investing concepts, found BetterInvesting, and became self-educated. BetterInvesting will also feature a video on fraud prevention. For more information, or to RSVP, email contact@sjersey.betterinvesting.net or call John Pierce, secretary, South Jersey chapter of BetterInvesting, at 856-429-3752.